I bring a gleam from the sun's bright beam. It's golden yellow, you see. It says "Be true in all you do." 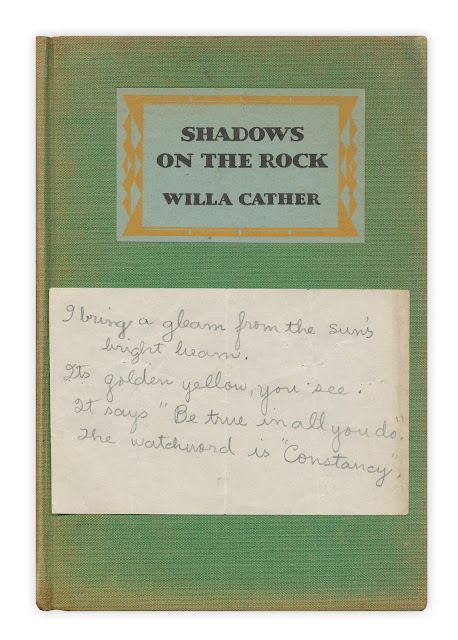 Found in "Shadows on the Rock" by Willa Cather. Published by Alfred A. Knopf, 1931.